GREENSBORO, N.C., USA, October 24, 2018– Katharine Girone of Varna, Illinois, is the grand prizewinner of the 2018 Thrive #RootedinAg contest from Syngenta. This contest challenges growers and other ag industry professionals across the country to describe the person who most nourished their agricultural roots. 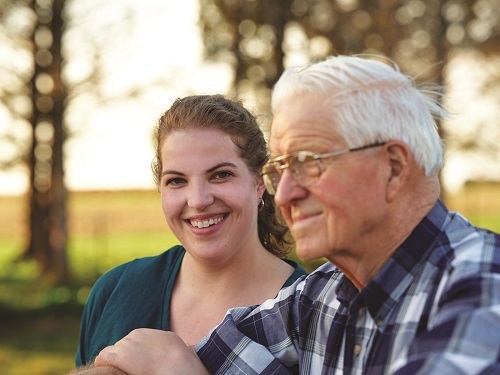 Girone, who works as a program coordinator for 4-H youth development at the University of Illinois Extension in Pekin, Illinois, and helps her family operate a fifth-generation farm, chose to honor her grandfather Kenneth McKee.